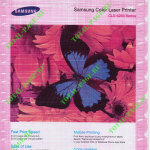 Having bought CLX-6260FR model, using CLT-K506S/CLT-M506S cartridges, I became familiar with the color Samsung MFPs. The first impression on the device was positive. All the elements that are subject to wear have an increased resource. Despite the fairly low cost, printer CLX-6260FR is equipped with two-sided scanning module. 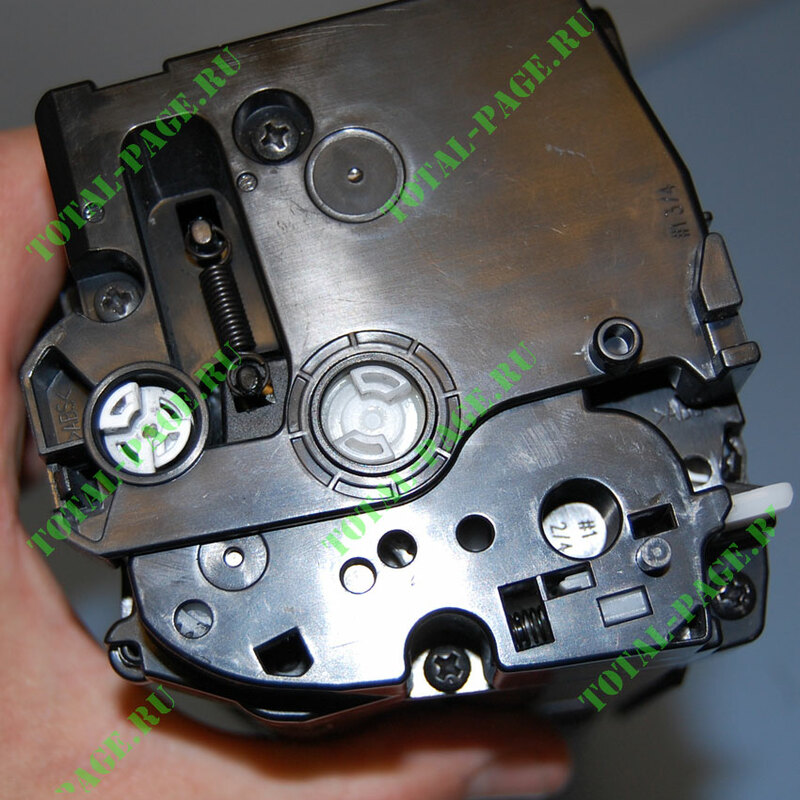 Mechanism from more productive MFP Samsung SCX-5835FN is used as a basis of DADF module. 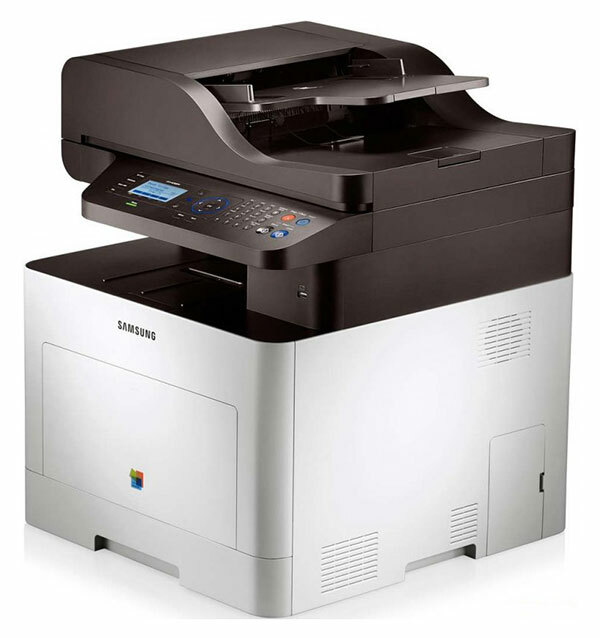 With regard to printer units, this model is a continuation of Samsung CLX-4195FN generation using cartridges CLT-K504S/CLT-M504S. The design of the cartridge is partially similar to CLT-K504S cartridges. The cartridge still consists of two halves, fixed by sidewalls. 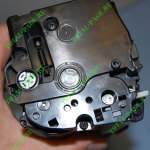 Having disassembled the cartridge we found out that the inner content has undergone a number of changes. In particular, the diameter of developer roller has been significantly decreased, that is not bad. But the wear resistance became significantly lower. 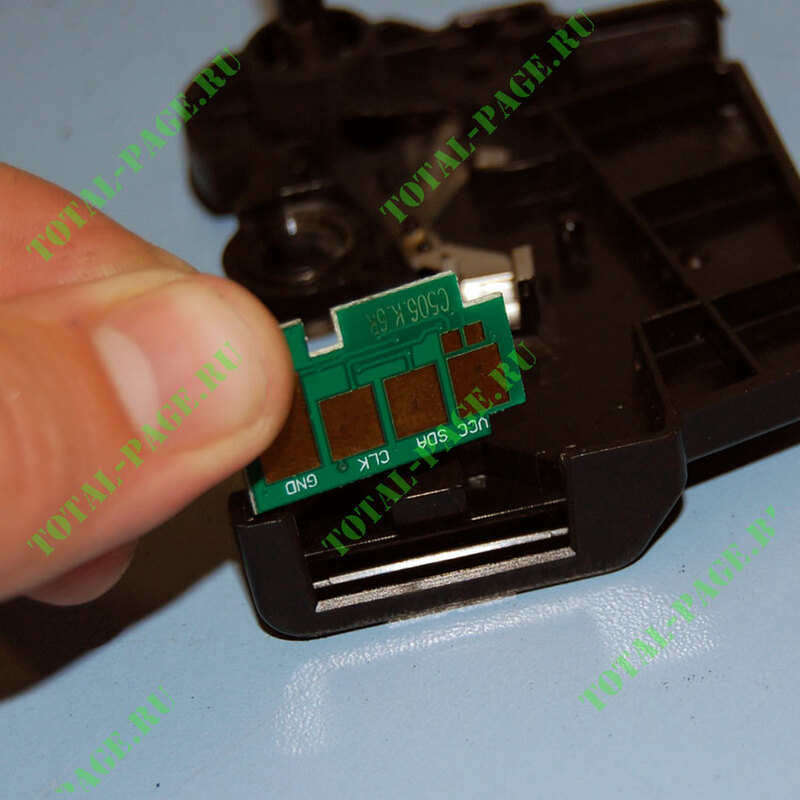 Black cartridge CLT-K506S, unlike color ones, has two sections for toner and respectively two plugs for filling with toner. 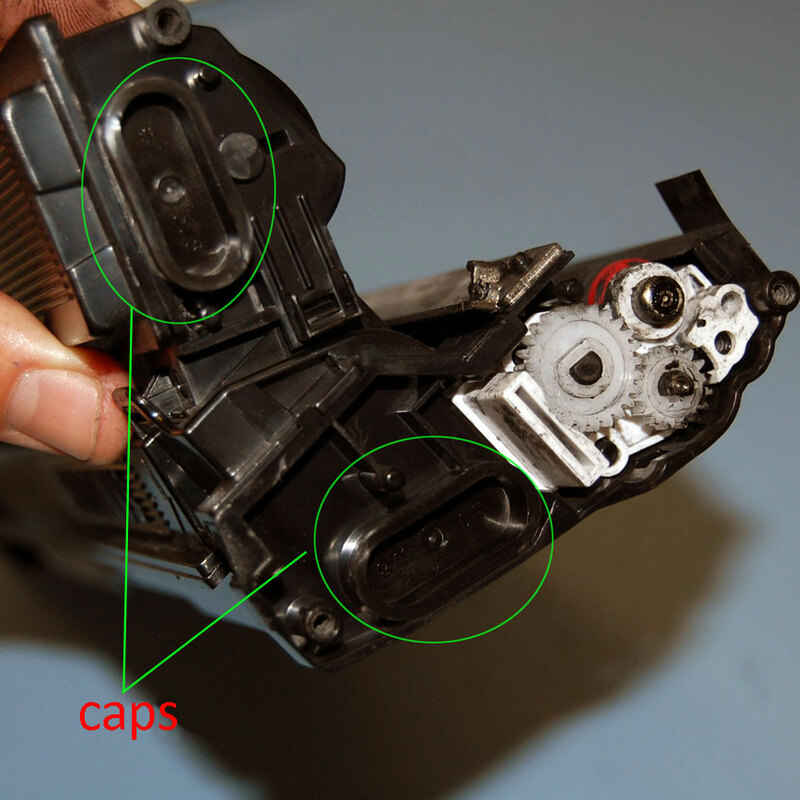 Two sections for toner are interconnected with two hollow jumpers. This technological solution allows to reduce the pressure of toner on the developer roller. Until now I noticed such a solution only is monochrome printers XeroxPhaser 4400/4510. Taking in account the fact that the basis of CLT-K506S is cartridge CLT-K504S used in Samsung MFPs of the lower class. All four cartridges were filled with time-tested toner described in the article about the printer Samsung CLP-415. Printed demo page put me into shock. 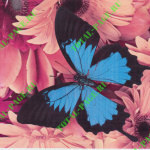 Instead of bright glossy colors we got the sheet with streaks of exfoliated toner. Thus, the manufacturers knowingly changed the size of developer roller, we see apparent changes in stress. I remembered about one more problem. When disassembling the cartridges I noticed that the sections were full with waste toner and the doctor blades were clogged. 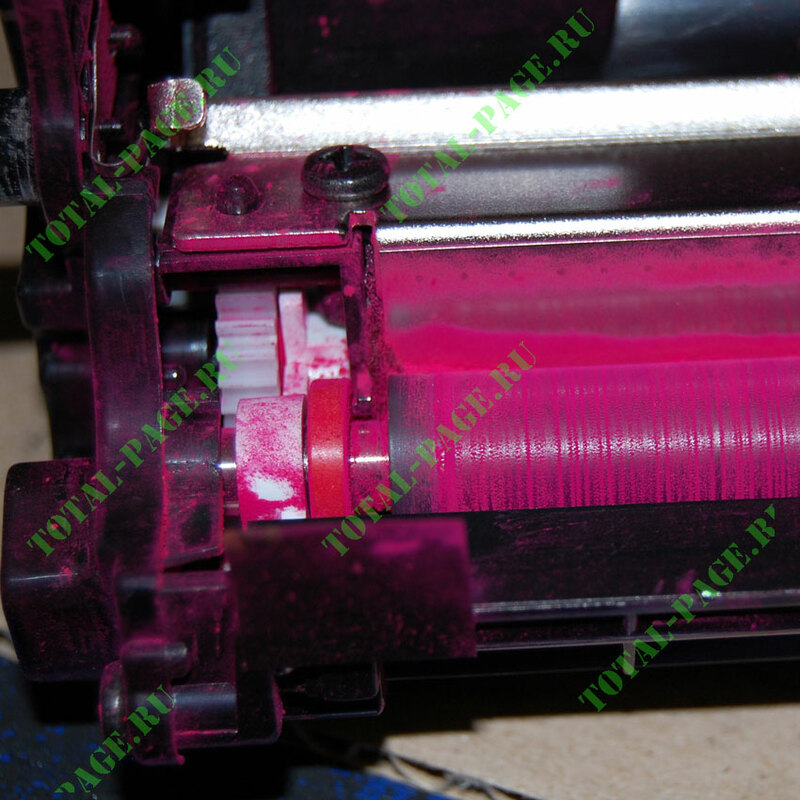 Our clients often had complaints on the presence of toner in the device at the end of cartridges life. I vacuumed cartridges, cleaned the wastes and filled it with toner for last generation printers CLP-500/CLP-510. 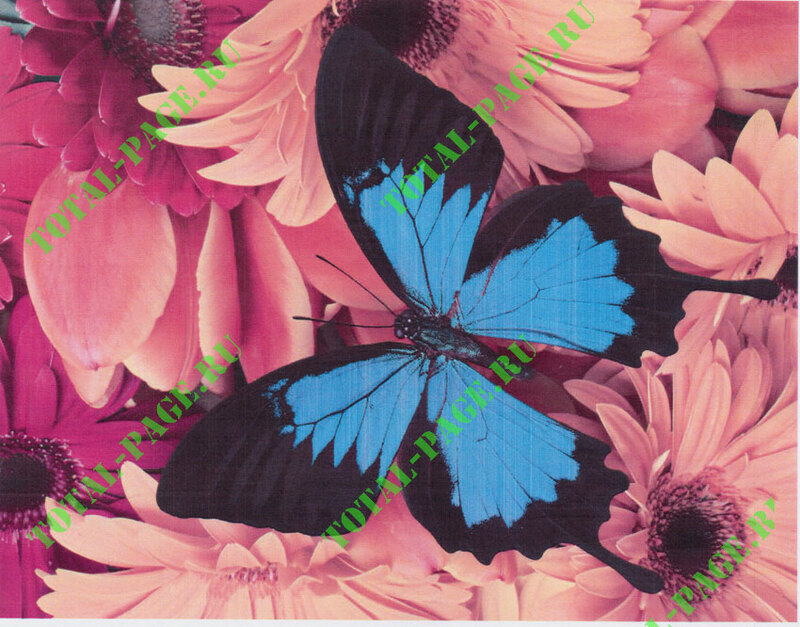 Demo page was printed without any defects, but colors were not saturated and glossy. Having printed hundreds of pages some vertical lines began appearing, this defect indicates clogging of doctor blade. Thus, we’ve decided to purchase special toner from UniNet. 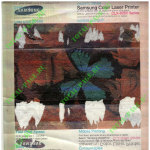 After filling with this toner and printing the demo page, it became obvious that this is the usual color toner Samsung CLP-510. 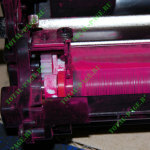 Next, we made an attempt to fill the cartridge with glossy color toner used in printers OKI. 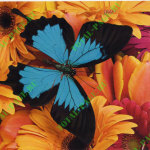 When printing we immediately noticed artifacts on background and other related defects. 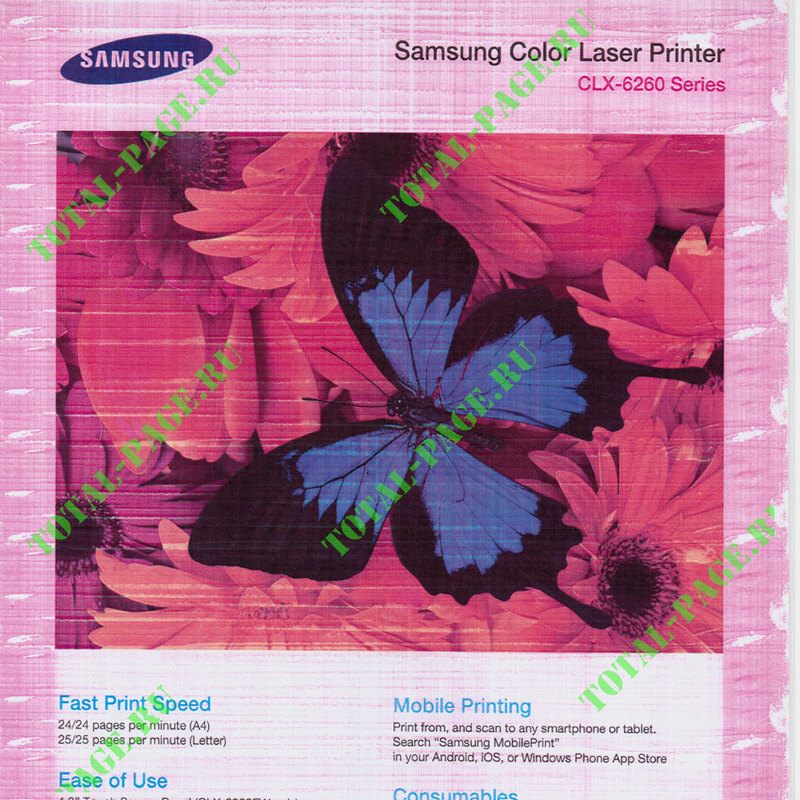 Taking in account the fact that the platform developed by Canon for HP is a basis of Samsung MFPs of new generation, we’ve decided to select toner among HP color toners with a ration of manufacturer toner/device. We were on the right way and after a few attempts a perfect toner has been chosen. 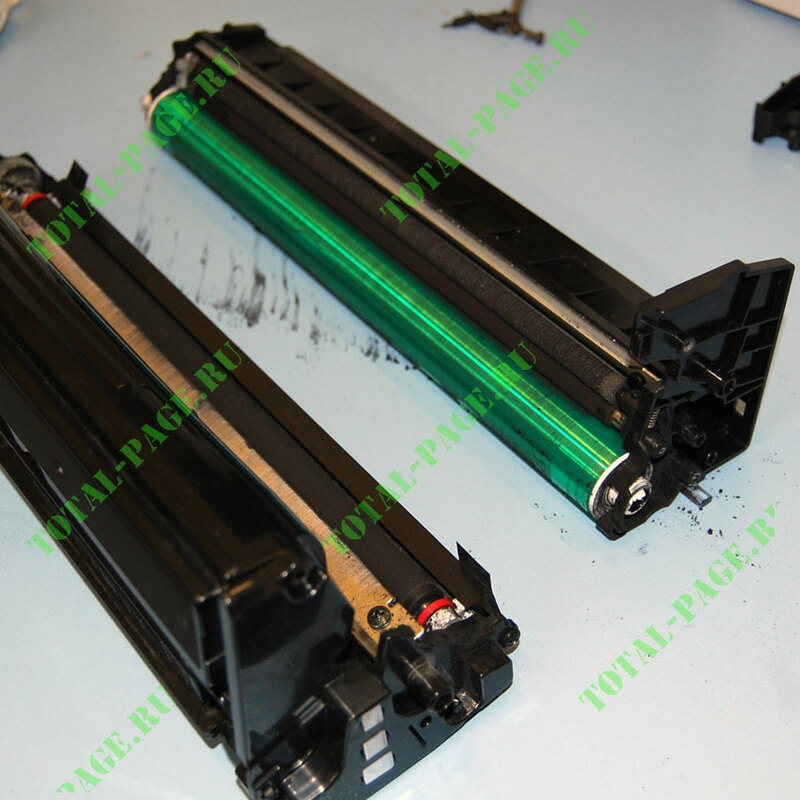 I won’t disclose the productivity of the toner, I can only say that toner is intended for cartridges HP CP3525. This article proves once again that not all color toners HP are the same. We’ve also proved the fact that platform from HP printers is the basis of new Samsung devices. 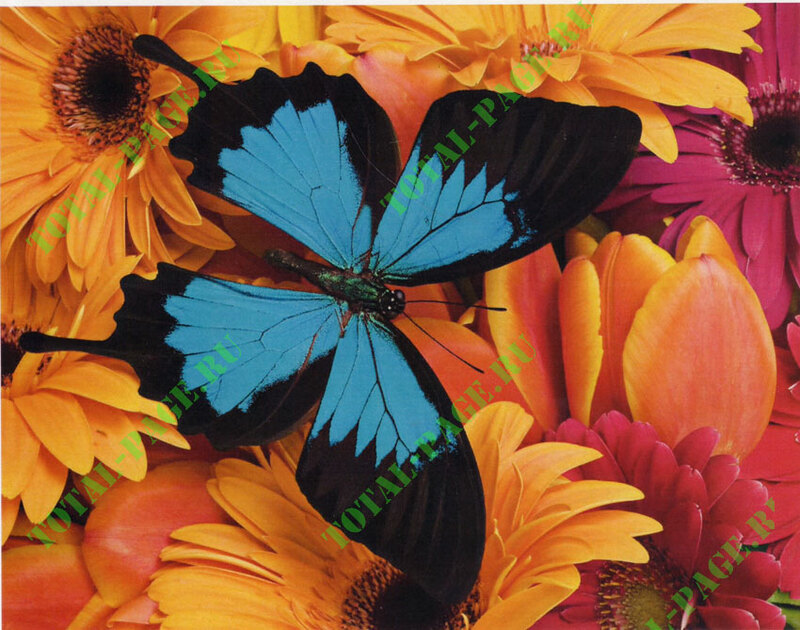 Test print showed that the refilled cartridges make much more saturated prints than original ones and their owners won’t face the problem of cartridge overflow with waste. But I won’t say that it’s a trend. Perhaps one batch of cartridges was just defective.